As Senior Vice President and head of LaSalle Bank’s Public Funds Division, Sean Heffernan has a leading role managing the bank’s business and presence in the government market in Illinois. He is the chairman of an internal committee coordinating the delivery of the bank’s products and services in the government market. 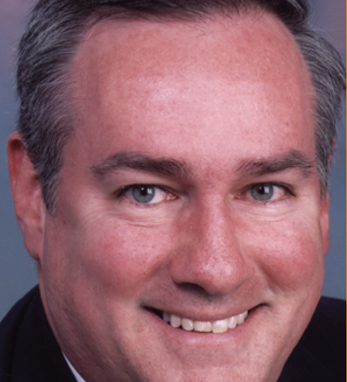 Sean joined LaSalle in 2004 after several years as a partner in the law firm Holland & Knight. He served as an assistant to Mayor Richard M. Daley from 1990-2001. and represented the City of Chicago before the Illinois General Assembly, the governor’s office and state agencies. A third-generation Irish American, Sean traces his roots to County Kerry. Heffernan’s father’s family comes from the town of Ballylongford. His mother’s family is from Ballybunion. Sean Heffernan is a graduate of Notre Dame. He received his Juris Doctorate from Loyola University of Chicago School of Law. Sean lives in Chicago wiih his wife Nancy and their four children, Mary, Edward, Matthew and Caroline. LaSalle Bank has a subsidiary in Dublin, Ireland.